Whether it's jeans, dress pants or more casual designs, the differences between pants designed for men and those designed for women are subtly varied. As most pants are crafted in the same manner, it's often just little distinctions that separate a man's pant from those designed for a woman. 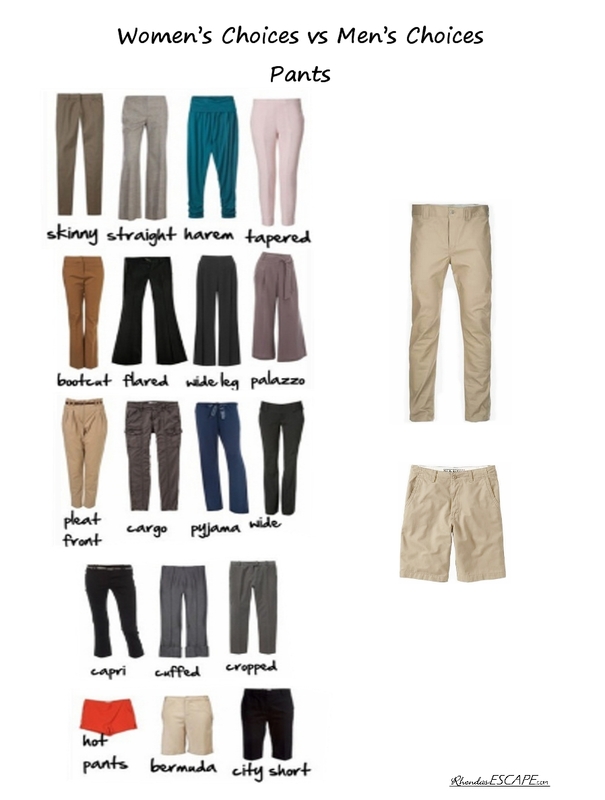 While a huge variety of colors are available to both sexes, women are far more likely to choose brighter colored, patterned or decorated pants. Men, on the other hand, tend either to stick to traditional men's patterns such as hounds tooth, pinstripe or plaid, or to solid, darker colored pants. Read the whole article here at Our Everyday Life. Here also is a Quora aricle on "Can men wear women's jeans?" Can men wear women's clothing?